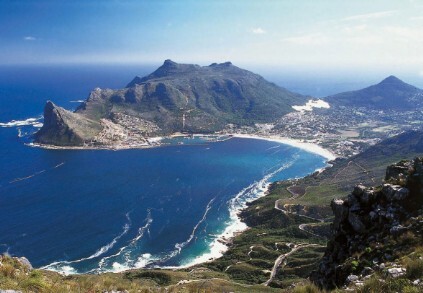 At the tip of the Cape Peninsula you will find Cape Point within the Table Mountain National Park. The expansive Table Mountain National Park stretches from Signal Hill and Table Mountain in the north to Cape Point in the south and encompasses the seas and coastline of the peninsula. Within Cape Point the treacherous cliffs forming the most southwestern tip of Africa are some of the highest in the world and mark the spot where the cold Beguela current on the West coast and the warm Agulhus current on the East coast merge. Inside the reserve you will find a variety of animals including buck, baboons and Cape Mountain Zebra as well as over 250 species of birds and indigenous flora that is found nowhere else in the world. Take a scenic drive, stop at one of the many picnic spots and tidal pools and travel to the Lighthouse lookout by funicular or on foot for spectacular views.